What are the Chrysler Pacifica Safety Features? When looking for a minivan for your family, safety is always a top concern. Turn your attention to the 2018 Chrysler Pacifica, which passes all the safety checks with flying colors. The Pacifica sports a 5-star NHTSA safety rating and earned an IIHS Top Safety Pick in 2018 when equipped with optional front crash prevention and specific headlights. 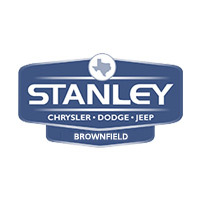 Explore the safety features available for your family Lubbock today. The bar has been raised for hi-tech safety features in the latest rendition of the Chrysler Pacifica. 360° Surround View Camera: A bird’s-eye view of the Pacifica and your environment is provided through the use of four camera images stitched together. Full-Speed Forward Collision Warning Plus: This system provides a visual and audio warning and applies the Automated Emergency Braking if needed to avoid a collision. Adaptive Cruise Control: No matter the speed you are traveling you can set and maintain a specific distance between your Pacifica and the vehicle in front of you. Electronic Stability Control: The standard Electronic Stability Control helps you maintain directional control by selectively applying the brakes and throttle control if necessary. Available LaneSense® Lane Departure Warning with Lane Keep Assist: If you have strayed out of your lane unintentionally, this system directs you back to safety. Blind Spot Monitoring System: If this system detects a vehicle entering your blind spot zone it will alert you by lighting an icon in the corresponding exterior mirror to help you change lanes with confidence. ParkSense® Rear Park Assist with Stop: Sensors alert you to possible objects in your path with visual and audible cues to prevent you from backing into something. If a collision seems eminent automatic emergency braking may be deployed. Parallel and Perpendicular Park Assist System: While you follow on-screen directions for the gear position, braking, and accelerating, this system controls the steering. Standard Rear Cross Path Detection: This system monitors your path while backing out of tight parking spots where certain views may be blocked. The safety features aren’t the only area in which the Pacifica innovates. Bring your family to explore the unique seating configurations and entertainment options of the Pacifica at Stanley Chrysler Dodge Jeep Ram Brownfield. Contact us today to set up a time! 0 comment(s) so far on What are the Chrysler Pacifica Safety Features?